TECHNICAL and Vocational Education and Training (TVET) has undergone a major change this year, with the introduction of the transformation white paper, new courses as well as the reformation of the former Department of Technical Education (DTE). The call for a transformation to Brunei’s TVET was made by the Minister of Education last year during the Brunei Darussalam Technical Education Transformation Key Stakeholders Sharing Session with Government Agencies and Industries Leaders. It came after Senior Adviser at the Ministry of Education (MoE), Dr Law Song Seng, said there were “major concerns” with the previous system of training and governance in a report he was commissioned to carry out. The former chief executive officer of Singapore’s Institute of Technical Education last year said the system in place at that time was no longer relevant and could not keep pace with the competitive and changing workplace environment. The launch of the Transforming Technical and Vocational Education White Paper in July outlined the proposed changes as well as the planned implementation for the overhaul of TVET over the next five years. It was stated in the white paper that the proposal for the transformation came about due to “the need to restructure and establish a new system of TVET which is better aligned with the social and economic needs of the country”. The white paper, along with a five-year developmental plan for the restructuring of the former DTE, were the key changes that were proposed to drive the transformation process. 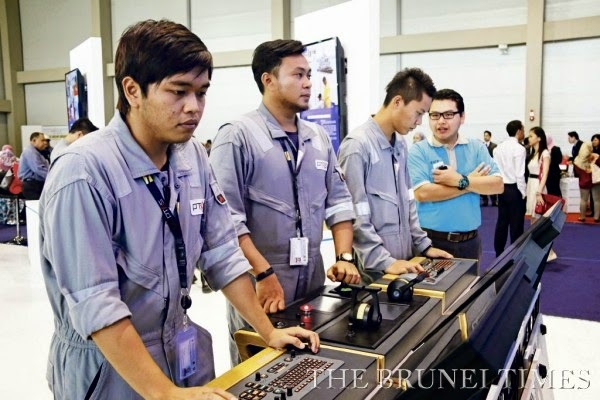 As plans to restructure DTE gathered steam, the Brunei Technical Education (BTE) was established and assumed the functions of DTE, operating as a new post-secondary institution. With the establishment of BTE, it will be formed as a statutory board under the purview of MoE, and will have a new set of constitution as well as a Board of Governors. Appointed by the government as non-executive appointments, the Board of Governors will oversee BTE’s direction and goals and is sanctioned to set up committees to regulate and fulfil its functions and duties and will be accountable to the government through MoE. BTE will be headed by a chief executive officer, who will also be a member of the Board of Governors, and is going to be responsible for the administration, operation and performance of the institute. One major takeaway of the transformation is the centralisation of all seven vocational and technical institutes (VTI). 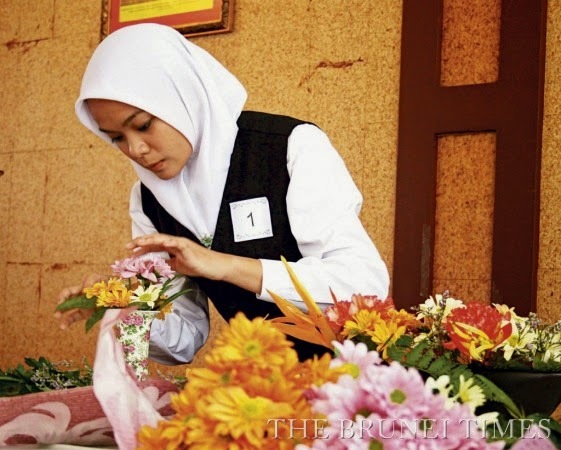 Under the transformation, Sultan Saiful Rijal Technical College, Sultan Bolkiah Vocational School, Nakhoda Ragam Vocational School, Wasan Vocational School, Jefri Bolkiah Engineering College, Mechanic Training Centre and Business School all now operate as one institution. The restructuring of the institutions is set to undergo further transformation once the proposed two new “mega campuses” are built. The “architecturally attractive and purposely designed campus” will provide a conducive teaching and learning environment required for the development of students in technical and vocational training and is suppose to help change the image of TVET. BTE’s new headquarters is set to be housed at “Central Campus”, which is expected to be completed by 2018, while the second mega campus, “Satellite Campus”, will be ready by 2020. The two new mega campuses are expected to cost at least $170 million each. An additional $33 million is required to build the new headquarters. Whilst construction of the new campuses is carried out, a further $35 million have been committed to upgrade and expand existing campuses to meet transitional changes in courses, revised curriculum and student development activities. To keep up with the changing workplace environment and improve employability of its graduates, another key change that is set to take place is the restructuring of its courses. As stated in the white paper, “BTE will strengthen its focus on the development of practical skills”, where the curriculum is set to be “competency-based” and include “hands-on” training. In February, a deal was struck with Singapore Polytechnic to set up the Brunei Maritime Academy (BMA) to produce graduates for the maritime industry. 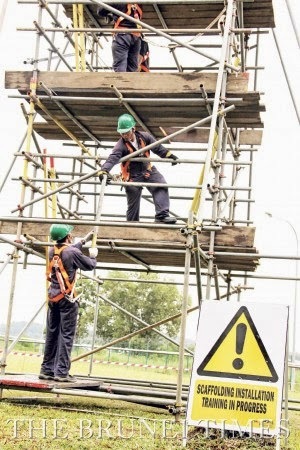 A total of 325 people applied online, including 273 males and 52 females, but only 47 were chosen for the first intake, which was carried out at Jefri Bolkiah Engineering College in Kuala Belait. 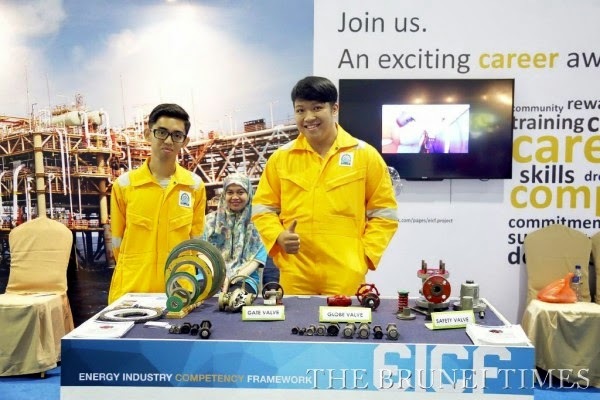 MoE has also been working with the Energy Department at the Prime Minister’s Office (EDPMO) to develop the Energy Industry Competency Framework (EICF), which was launched in 2013. Currently, 772 students are enrolled under the programme. Earlier this month, BTE announced that it will introduce a two-year HNTec in Telecommunications and Information Technology to address the needs of the telecommunications industry in terms of human resources. Director of Technical Education Dr Chin Wei Keh said there has been an increase in students enrolling in technical and vocational education institutions. In June this year, 1,401 out of 3,767 applicants were chosen to further their studies at the seven VTIs for the July intake. In November, BTE also held its first graduation ceremony, where 2,342 students were awarded with their qualifications. A total of 1,103 students received diplomas, 21 received their national diplomas, 16 received the National Trade Certificate 2, 337 received Skills Certificate 2 and 621 received Skills Certificate 1. The first batch of students, a total of 224, under the Industrial Skills Qualification (ISQ) received their qualifications as well at the graduation ceremony.